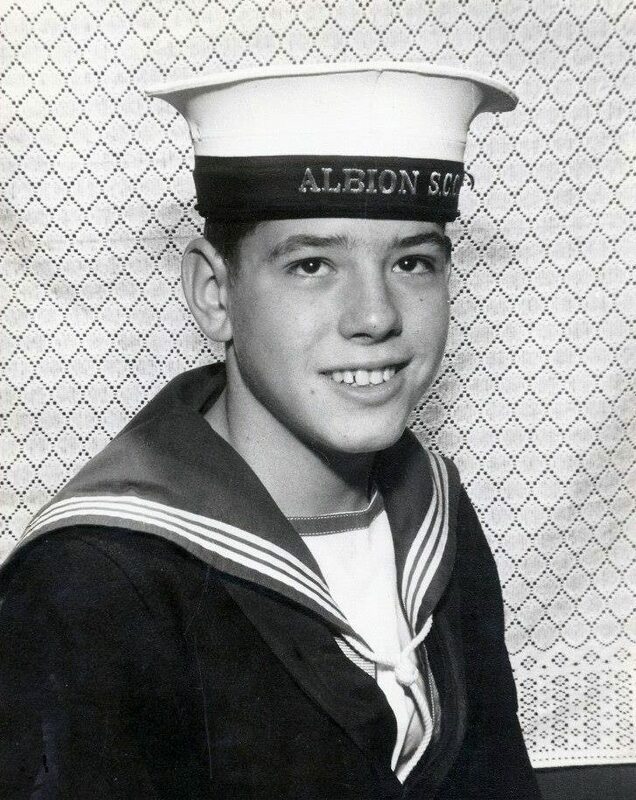 Peter Simpson recalls growing up in the area, before he left for a life on the high seas. “My parents lived in the same council house for most of their married life. They moved from there with my help just six days before my mom died of cancer. In 1952 she had demanded a council house when she was heavily pregnant with my sister and went and banged on the council's door. She successfully got a council house where they lived for 56 years. They lived at 67, Warley Hall Road, just around the corner from Warley Woods, the golf course and Lightwoods Park. Going down the road towards Abbey Road, lived my friend Peter Grogan whose father ran the greengrocers shop, right on the corner. A Laundromat was opened next door to it, the first anyone had ever seen. When Mr Grogan sold his shop it became a showroom for Aga cookers; just the very dab in that area! There was the post office of course and a butchers, chemist, hairdresser, fish and chip shop, the Co-op and the Pheasant pub. Our neighbours on one side were, firstly, the Rookes and then the Corries, the Bailey's on the other side of us, Mr and Mrs Caldicott next to them. 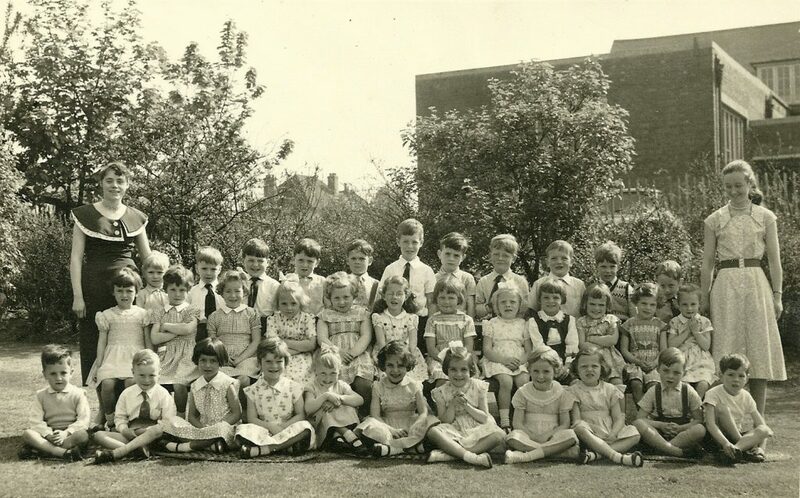 Mr. Caldicott was the caretaker at Lightwoods County Primary School on Castle Road East. Just down the road from the school on the other side of the road is the Warley water tower which was run by Bill Penny and his wife, where my dad parked his car in the grounds for more than 30 years. My sister and I were taken to church and Sunday school at the Baptist Church, just off the Wolverhampton Road/Hadzor Road, Reverend Peter Eggington residing. We were both Girls or Boys Brigade, the 8th Warley. 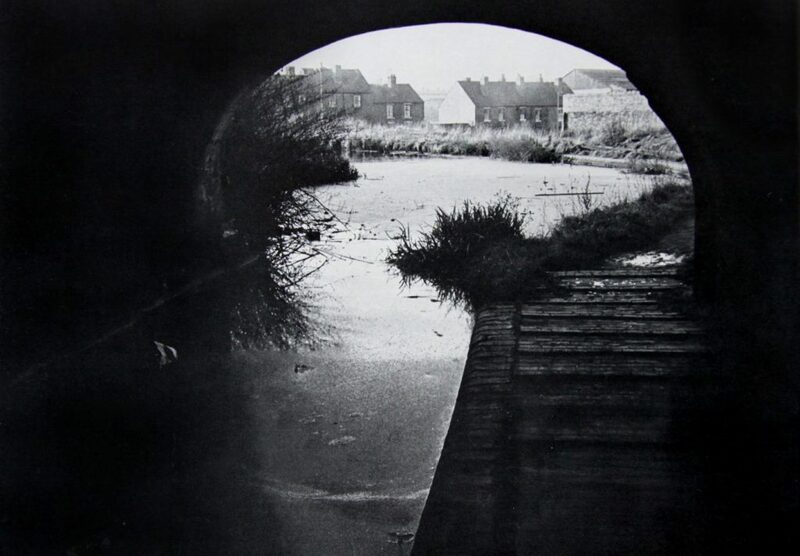 My dad was from Durham but my mom was from Oldbury; her parents owned a sweet shop opposite and down the hill from the Navigation Pub, which stood on the bend of the Titford Canal - aka the Cut. Her dad, my granddad, was an exceptionally skilful toolmaker. He worked in most if not all of the metal foundries in Oldbury, generally staying for no more than 2 years at each one because it suited him that way. My parents met at Llanelli when dad was on weekend leave during the war and she was sitting with her parents. He asked if he could write to her. They married in 1946. 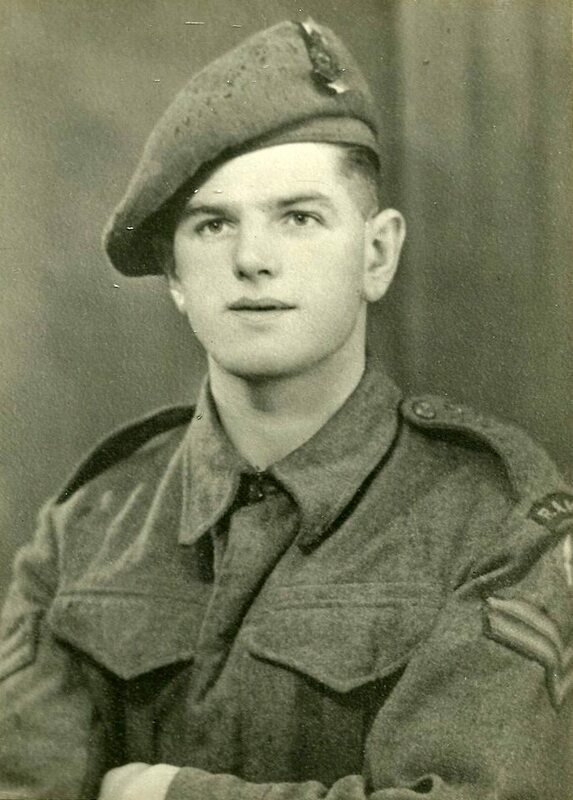 Corporal Bob Simpson, RAMC with Durham Light Infantry and a D-Day veteran on Sword Beach. Both my sister, Julie, and I went to Lightwoods County Primary School when the headmaster was a Mr Bisquick. I was in Miss Hirst's class to start; this would have been 1960, I guess. My sister was two years ahead and a teacher’s favourite; Miss Hill in particular. She told me in class that she ‘loved’ my sister and ‘loathed’ me. I didn't know what loathe meant but I got the idea - I was six or seven years old. On the way home a gang of us usually played ‘hot-rice’ - throwing a ball at each other and if it hit you, you were ‘on’. During the heavy snow of 1963, my sister and I got a ticking off as our mom had to come and find us; we were playing in the snowdrifts alongside Warley Woods. Dad used to take us sledging in Warley Woods as well, on the steep slope towards Bearwood on Abbey Road. Most of us from that time remember that winter with rose-tinted affection. Regretfully I have no photos from back then (no camera, not even a TV until I was 14) but here's a photo that might seem dull to some. TS Albion was a really good sea cadet unit based in Smethwick and it also included a couple of Indian lads. This was unusual, at a time when Enoch Powell was held in high esteem by many and the number of Asians moving into Smethwick and Oldbury was almost overwhelming. Circa 1970. I used to walk from Warley Hall Road to TS Albion in my uniform and big steel cobbled boots. TS Albion was commanded by Reg Gormann, he had a cheese and wine shop across the road from the Bear pub in Bearwood. Dad took me to Bleakhouse library when I was six and I have been a great user and advocate of libraries ever since. Next to the library, tucked on the edge of Bleakhouse school was a judo club that I joined, the Kyu Kyoshi Kan, though I'm not sure of the spelling. Other than Boys Brigade we were both taught to swim at Rolfe Street baths and I became a competitive swimmer, swimming for Halesowen, Oldbury, Thimblemill, the school (Oldbury Technical) and the county (Worcestershire), plus different levels in the Royal Navy. I still swim regularly. Growing up, my dad took me to Villa Park every Saturday or if they were playing away, to the Hawthorns or St Andrews. I saw Stanley Matthews play for Stoke against Birmingham, he came on as a ‘reserve’, one of his last games. Dad and I and a bunch of cronies stood on the Witton End, when it was a bank and in the same place with the same people every time we went. Usually having a lucky dip to get the first scorer and winning the pot. From old First Division to the Third Division, from Johnny Dixon to Peter Withe. I couldn't tell you who is in the team these days. Great times though and I acutely remember the smell of M&B beer, Oxo, pies and the urinals. We always came home to the smell of fresh baking; lemon meringue pie, cut and come again cake and custard tarts. I can still smell that kitchen and the Sports Report music at 5 o’clock on the Light Programme. My sister failed her 11-plus, though I’m not sure how - she was far the better pupil and went to Hill and Cakemore secondary modern in Blackheath. She became Head Girl and left at 16 to join Oldbury Grammar to do A-levels, then onto a college in Sefton, Liverpool to study English, dance and drama. I passed my eleven-plus and went to Oldbury Technical School down the bottom of Pound Road. I either walked or cycled to school every day, very rarely taking a bus; the bus stop was outside the Co-op. I didn't miss a day off school. I wasn't allowed to. I remember trudging through two foot of snow to get there one day and found I was the only pupil; that’ll be me and the caretaker, then. Classes were streamed in alphabetical order I was in ‘W’ class and Miss Lane was my first-year class teacher. I can't say that I remember many of the names of the teachers but one occasionally pops up on the Oldbury/Langley site; John Halliwell for instance and Mr Bachelor, the feared biology teacher. He married Miss Lane and I met him on the golf course some years later; he was a smashing chap, very nice. School didn't work for me, not a CSE or GCSE to my name. I went to the College of Further Education on the Wolverhampton Road for a year and joined by a number of Ugandan Asians who had left that troubled country. I didn't do any better there either. Mrs Hurst and class, 1959. 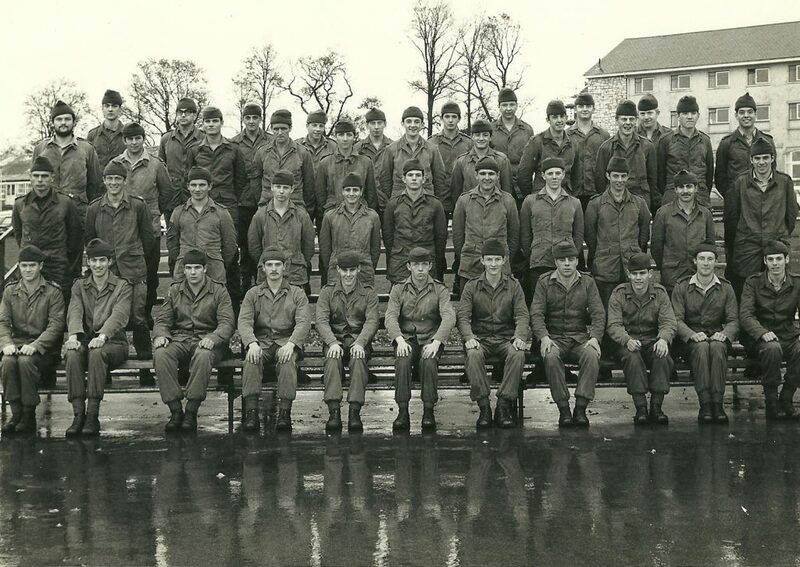 Peter is first row, bottom right. I did, however, join the Royal Navy as a Junior Medical Assistant Class 2 in 1971 and spent most of my career with commando forces after successfully completed the All Arms Commando Course and then the parachuting course at RAF Brize Norton. I spent 34 years in the Navy and went from Medical Assistant to Lieutenant Commander and among other things a specialist in Survival Medicine. Somewhere in the Evening Mail's basement will be a photograph of me and Dad attending the Remembrance Service in Birmingham; him wearing his World War Two medals and me wearing mine and the uniform of a Royal Navy officer. All Arms Commando Course, 1974.